Not everyone is a lumberjack or lumberjill, and not everyone uses a chainsaw to hack up logs for firewood. So, for those of you who are artists and need the best chainsaw for carving, you might think you need something different than those who are felling and bucking trees. Well, you’re somewhat right. You certainly won’t require as much power, but you still need some oomph from your tool. Really, what you’re looking for is a balance. To find the right chainsaw for your carving projects, you have to look at a variety of factors. 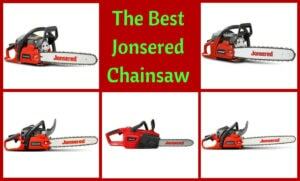 It’s also important to check out the best chainsaw for carving reviews. 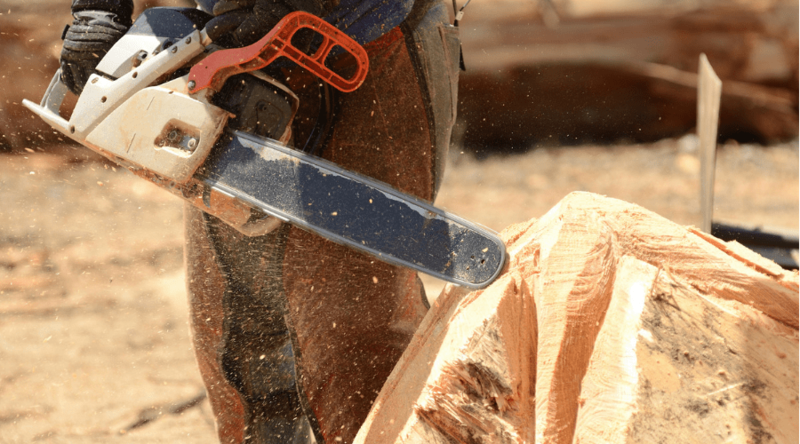 Keep reading for a look at the features, specifications, and power that make for the best chainsaws for carving. Kickback is rarely a big issue for carvers, but it’s something you’ll have to worry about even less with the DEWALT DCCS620B compact cordless chainsaw. 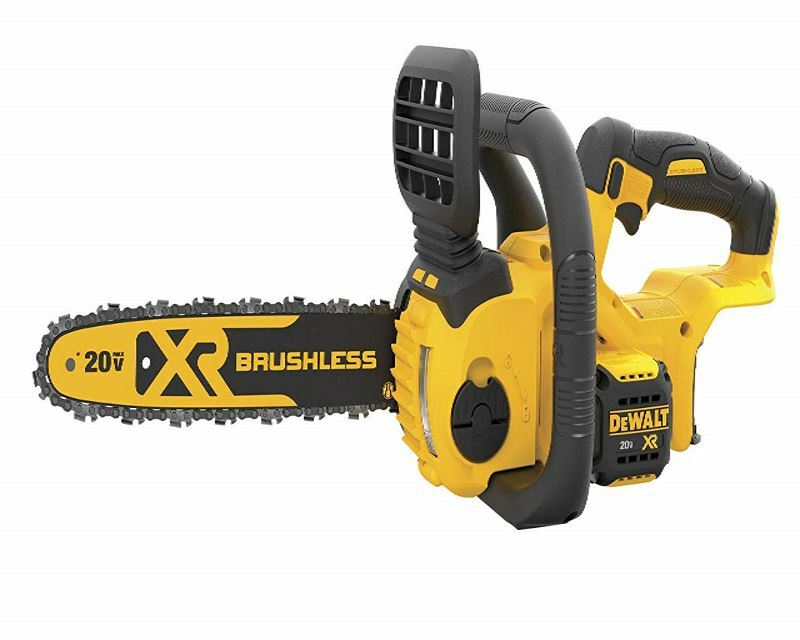 This battery-powered chainsaw has a brushless motor, which contributes to its efficiency. Plus, the tool-free tensioning feature makes it easy for you to adjust the tension on the chain. 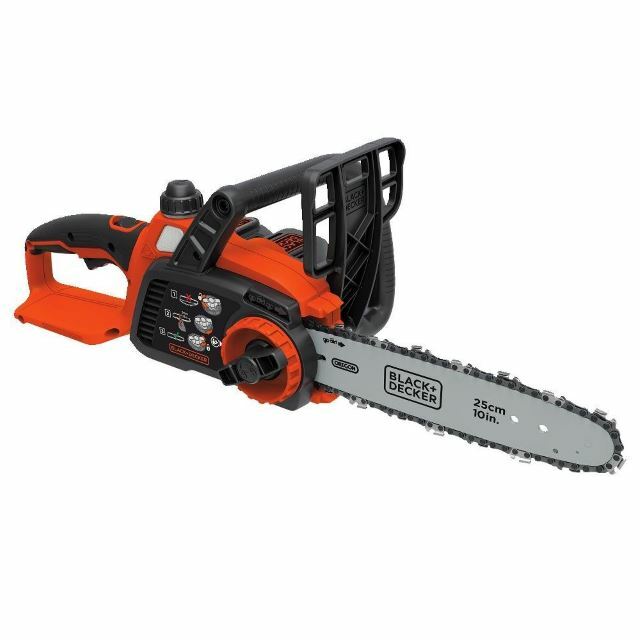 This chainsaw is great for carving, as it has a good power-to-weight ratio. It’s just under 9 lbs., making it one of the lightest weight chainsaws you can buy. You’ll have to purchase a battery separately or find the kit with a battery. But while you’re buying a battery and charger, you might want to get a second battery. You aren’t likely to get a long charge, so having a backup is helpful. One feature you’re likely to adore is the automatic oiler. There’s no need to pause your craftwork to oil the chain and bar. Just keep carving and let it do its thing. You might find that the oil cap is a bit tight, though, and could break. Plus, leakage is common with this chainsaw. You might want to consider this chainsaw for your carving needs, but possibly as a second chainsaw used for details, as it doesn’t have as much power as others. 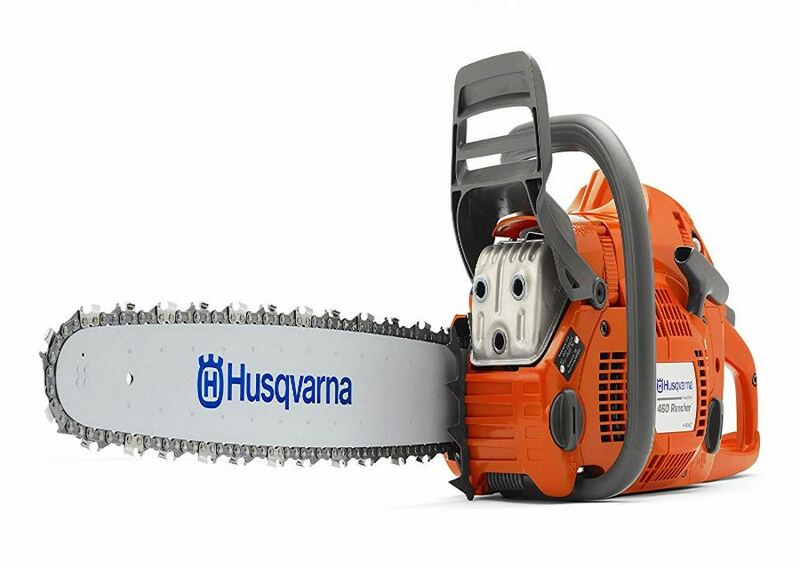 For one of the most powerful gas-powered chainsaws you could use for carving, Husqvarna presents the 460 24-inch rancher chainsaw. It has 60ccs of power and a two-cycle engine. If you’re going after some thick hunks of wood to carve, this chainsaw could meet your needs. It’s also going to work well against some hardwoods. Expect this chainsaw to come with a few maintenance requirements, though. And you’ll need to keep gas and oil on hand to keep it fueled and going for all your projects. Husqvarna seems to get it when it comes to chainsaw design. The antivibration features can keep you working all day, if you want, without your hands or arms numbing or tingling. And in the long run, it’s a must-have safety feature. An air cleaning system will keep the filter free of debris, and that could mean less maintenance you have to perform. 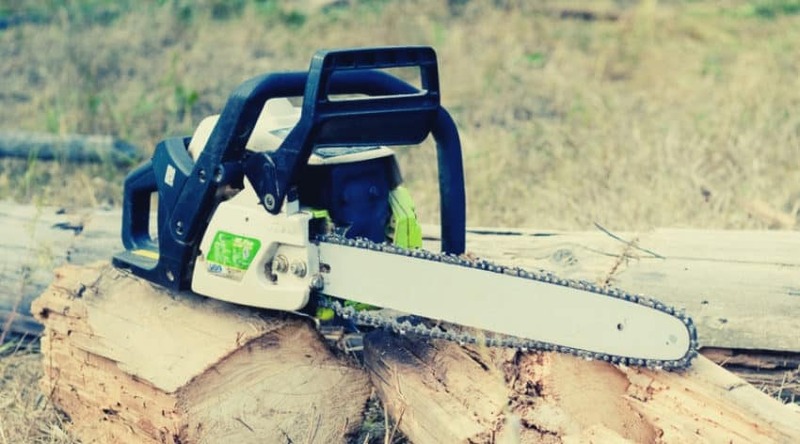 Compared to other chainsaws, this is a bit of a beast and could be too heavy for you to use. It’s also an expensive chainsaw to invest in for carving, but it could be the chainsaw you’ve been missing from your arsenal. Keep an eye out for faulty oilers, too, as that seems to be a common issue. If you’re looking for a powerful gas-powered chainsaw, this pricey one could be ideal for making thick, straight cuts, or working on hardwoods. 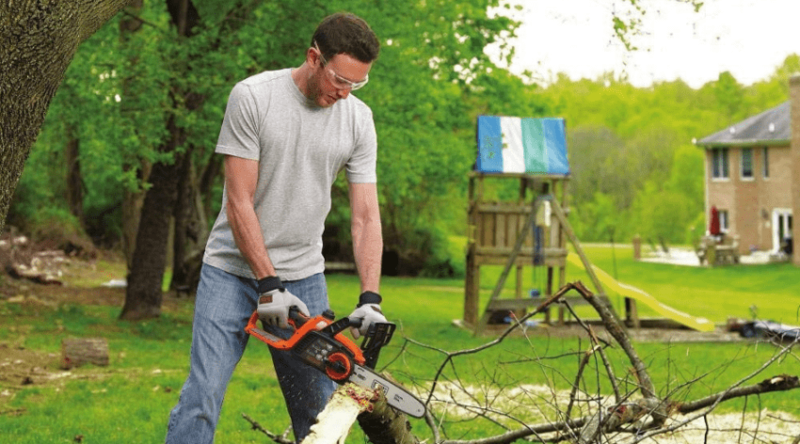 The BLACK+DECKER LCS1020 is a bit smaller than most chainsaws, and it only comes with a 10-inch bar, but that could be all you need for the smaller carvings you’re working on. Perhaps the biggest issue is most of the dime tip bars and chains available for chainsaws don’t necessarily work on this chainsaw. That’s not to say that there aren’t bars out there for the B+D chainsaw. The low kickback chain and bar makes it safe for you to use. One of the biggest benefits of this small chainsaw that you can use for carving is that it requires little to no maintenance. It’s battery-powered, so it doesn’t require you to keep gas and oil on hand. You only need to make sure the oil reservoir is filled, and the automatic oiler will keep your chain and bar oil. There have been reports of defects with the oiler, but the warranty should protect you. Also, keep in mind that the battery likely will last only about 30 minutes or so. If you want one of the lightest chainsaws for carving, and you don’t mind a battery-powered one, this could be a good one for you. 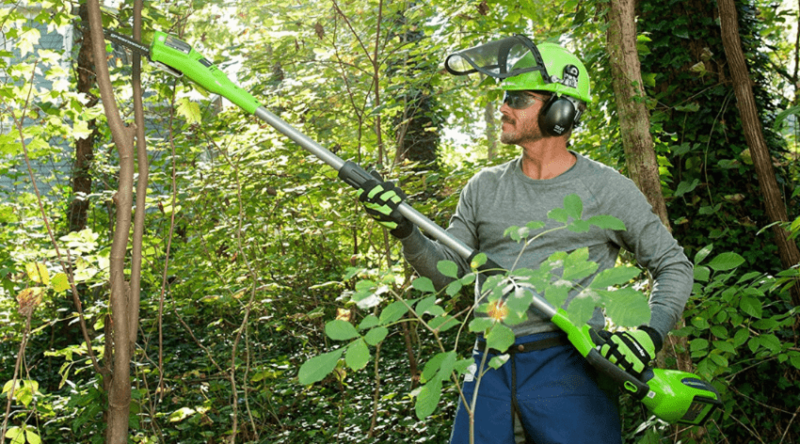 The WORX WG303.1 16-inch electric chainsaw comes with plenty of features that would make it a great chainsaw, whether you’re trimming tree limbs, or carving pretty pieces of art out of wood. The tool-free tension knob works well, for the most part. You might notice it loosen as you work, which could get annoying. Its low kickback chain and bar are helpful, but not so much in some situations – like when you want to use the tip of the chainsaw for detailing. The good news is that there are carving bars made to work with this chainsaw, so you can use it for carving. While this is lightweight compared to gas-powered chainsaws, it’s much heavier than battery-powered counterparts. Though it’s only heavier by a few pounds, those few pounds add up over hours of use. The automatic oiler works well, but this chainsaw wants thin oil, so it may lubricate too much. Thicker oil has a harder time making its way through the oiler. If you’ve decided on an electric chainsaw for carving, this might be one of the best out there for your needs. 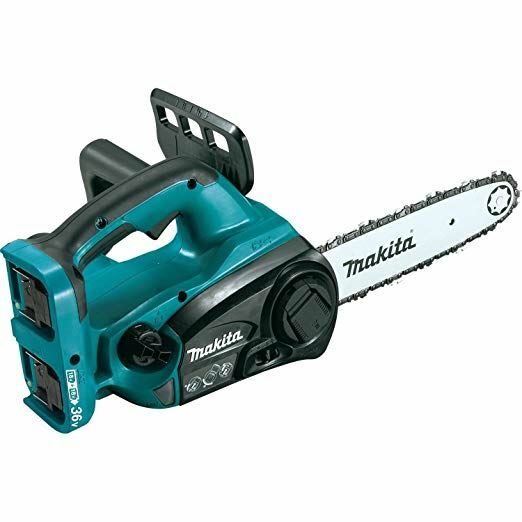 A battery-powered chainsaw like the Makita XCU02PT makes use of two 18-volt batteries, rather than just a single 20-volt battery, for example. What this accomplishes is more power at once. And this chainsaw comes with all the features you’d expect of a power tool like this. You get the tool-free tensioning adjustment and a chain brake. You also get the freedom of movement with the cordless part of this chainsaw. However, for a cordless chainsaw, this Makita is kind of heavy compared to other battery-powered chainsaws. Weighing in at more than 12 pounds, it’s nearly 5 pounds heavier than some of its competition. Granted, that weight is coming at a benefit of more power. Still, it may be difficult to carve with such a heavy tool. The good news is there are some carving bars available out there that will fit the Makita chainsaws. If you’re looking for a battery-powered chainsaw with more power for carving, this might work well for you. 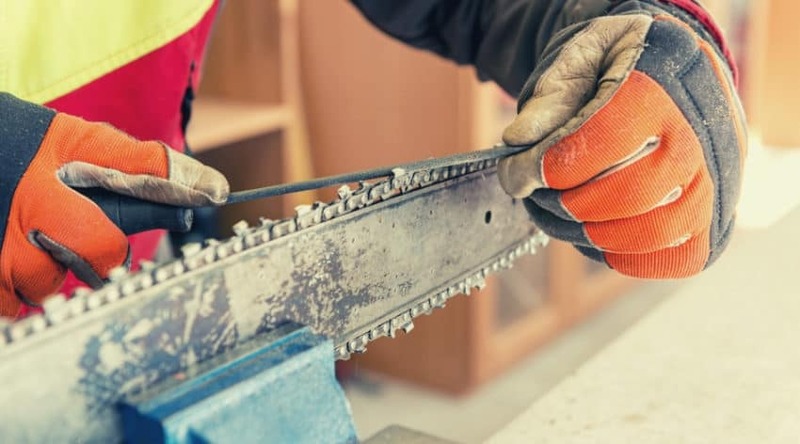 Any of the chainsaws listed above will work well for your carving needs, but there are a few that are better than the others. They’re all relatively lightweight, and most of them are affordable. Not all of them have a guarantee of working with carving bar kits, but you can probably go with a custom bar if you wanted. A chainsaw that stands out from the others is the Makita XCU02PT 18V X2 (36V) LXT Lithium-Ion Cordless 12″ Chainsaw Kit (5.0Ah). This battery-powered chainsaw gets good marks for its cordless properties, making it easy to use wherever you decide to take your carving skills. However, it is a bit heavy for what this chainsaw is. If you don’t mind that, it comes with quite a bit of power, thanks to two 18-volt batteries, and there are carver bar kits that will fit this model. *You might also like: The Best Battery Chainsaw for your needs?